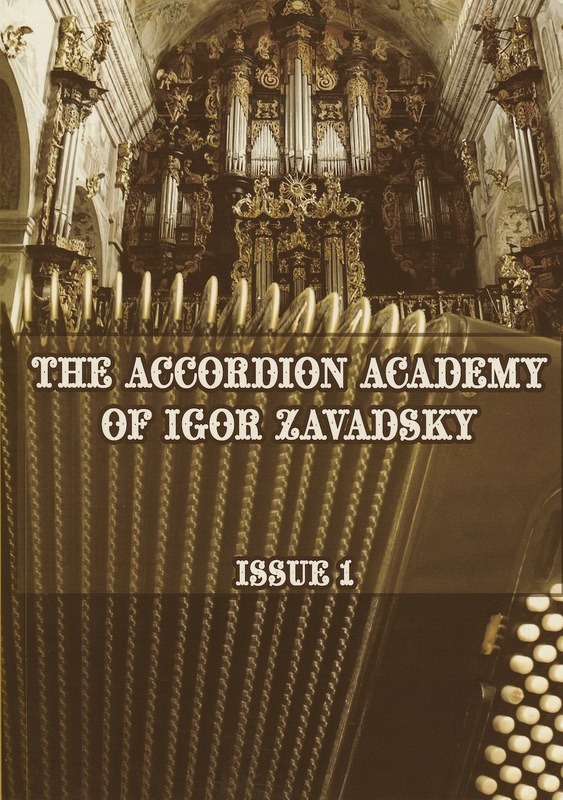 The collection of notes "THE ACCORDION ACADEMY OF IGOR ZAVADSKY. Issue I"
This collection represents only a part of the repertoire of Igor Zavadsky, the complexity of which is intended for beginners learning to play button or piano accordion and professional performers. In his repertoire Igor Zavadsky always puts in the first place music that has withstood the test of time and is known in all countries. Using the unique features of accordion, Igor Zavadsky with his arrangements, transpositions and transcriptions revives the best samples of music of different genres, primarily classical works. In this collection you will find works (or parts thereof) for concert performance. 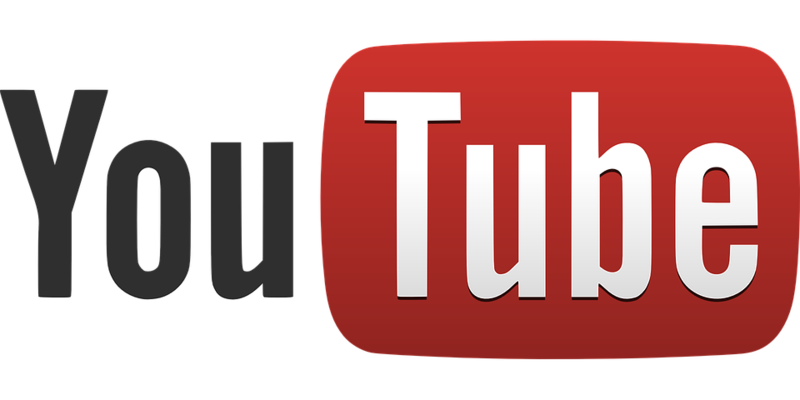 Some of them can be included in competitive programs for different age or genre categories. The original works were written for organ, violin, flute, guitar, piano, bandoneon, chorus, chamber and symphony orchestras. Especially for children Igor includes his composition "Danielf". All works you will find in this and next issues of the Academy of Accordion you may find in music albums recorded by Igor Zavadsky. "THE ACCORDION ACADEMY OF IGOR ZAVADSKY"
13. 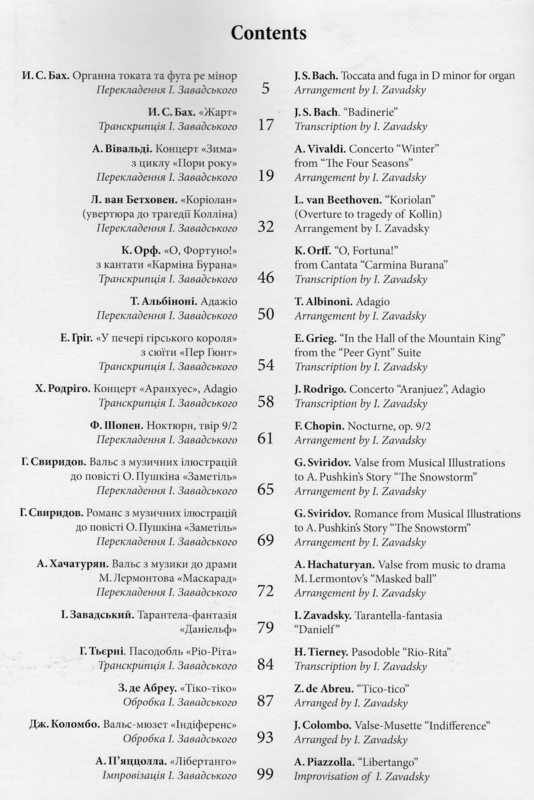 I.ZAVADSKY – Tarantella-fantasia "Danielf"
Order the collection of notes "The Accordion Academy of Igor Zavadsky. Issue I"